Are you hearing the name “Raspberry Pi” for the first time? Then you must really recheck your reading habits! I must say that you are not up to date with the latest happenings around the world 😉 Well, Raspberry Pi is nothing more than a small,customizable computer. When you read “computer“, dont think that its something like an Ipad or a Samsung Galaxy Note. Raspberry Pi is an educational product designed for students/hobbyists to learn computer easily. It is available in market for USD 25 and USD 35 and is manufactured and marketed by Raspberry Pi foundation – a non profit educational foundation in UK. 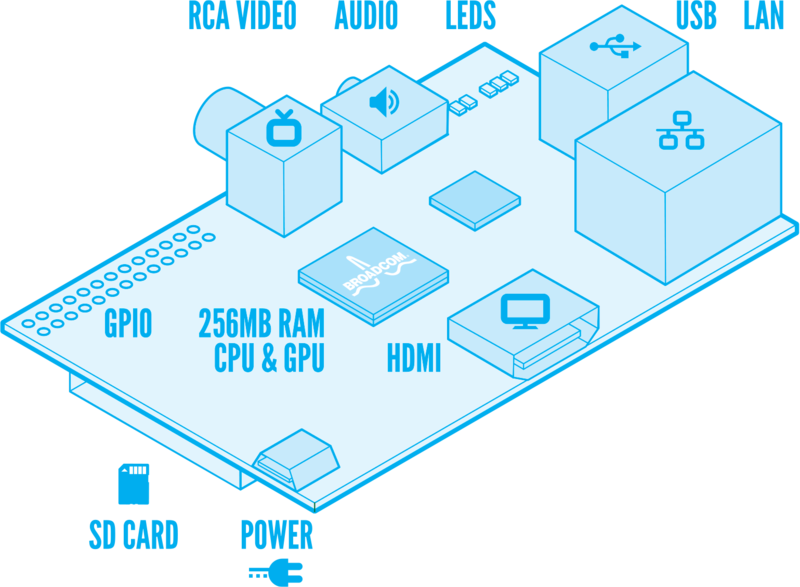 A diagram of “Raspberry Pi” taken from their website is shown below. Now what do you think are the possibilities of a board like Raspberry Pi ? What all stuffs can you make? Just read the 2 articles below. It will give you an idea of the scope of something like Raspberry Pi or an Arduino. So whats next ? Lets watch some cool videos. PureDevices is a geeky startup which uses open source hardware technologies to build mainstream consumer products. They bring together Open hardware technologies with cloud computing. So here are some interesting videos. First Mainstream Consumer Application of Raspberry Pi from Pure Devices on Vimeo. I’m running a schematic and PC board software on it. I tried to watch Youtube but the CPU gauge was maxed out and the video was stuttering on and off. I would like to see a thin client package for it, so I can run the actual session in a VM on a server somewhere. If anyone has any info, my yahoo email address is acmefixer. Thanks. It’s really a great and useful piece of information. I’m satisfied that you shared this helpful information with us. Please stay us informed like this. Thank you for sharing. Well, A mini computer with GPIO pins. This is ideal for setting up as a stand alone server for newbies!